Focus: Producing biofuel frrom heretofore difficult-to-exploit sources, making available vast amounts of energy, while reducing the global need for fossil fuels. Project Title: "Improved Bacterial Enzyme Systems for Deconstruction of Cellulosic Biomass for Production of Liquid Biofuels"
The late Warren Hellman was one of I-SAEF’s earliest and most influential supporters. Warren was a dedicated philanthropist and compassionate humanitarian. He gave generously of his time, expertise, and financial resources to make a difference in the lives of individuals and the quality of life in his community. He was a pioneering advisor and contributor to the Israel Strategic Alternative Energy Foundation (I-SAEF), which would never have achieved its current level of success without his visionary early support and innovative advocacy. I-SAEF wishes to acknowledge his invaluable contribution, by naming its highest-scoring grant for 2012, as determined by the I-SAEF Advisory Board, in Warren Hellman’s honor. "The F. Warren Hellman I-SAEF Grant in Support of Alternative Energy Research in Israel." May his memory be for a blessing, and his leadership a model for all who wish to ensure a cleaner and safer planet and a stronger Israel. In its first three years of operations, I-SAEF has only been able to fund 13 out of 20 projects that were recommended for funding by our world-class Advisory Board (see below for details on the screening process). I-SAEF is expanding its fund-raising in order to be able to support all deserving projects that apply for funding. Ultimately, I-SAEF aims to fund a minimum of 100 high-impact alternative energy research projects in Israel over a 10 year period. To find out how you can help make this goal a reality, please contact info@i-saef.org. I-SAEF has assembled an Advisory Board composed of Scientific Advisors (headed by Nobel Prize Laureate Alan Heeger) and Commercial Advisors (headed by Jack Levy of Israel Clean-Tech Ventures). The Board evaluates the technical and commercial merit of all grant applications, and oversees an objective, peer-reviewed evaluation process that involves the volunteer contribution of world-renowned scientific experts from top-tier universities in 15 countries. This international team of Advisors and peer-reviewers ensure that only the very best ideas receive I-SAEF support. Projects must have a high probability of scientific and commercial success, and the likelihood of making a major impact on alternative energy research globally. 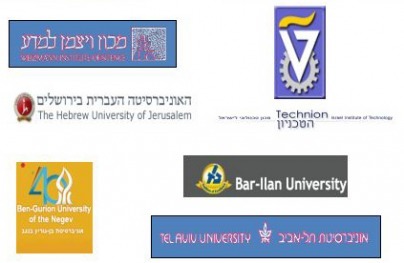 All major Israeli universities participate in the I-SAEF initiative: Bar-Ilan University, The Technion, The Weizmann Institute, Ben-Gurion University, Tel Aviv University and The Hebrew University of Jerusalem. We hope you will consider joining us as well, making possible a future free of fossil fuels.